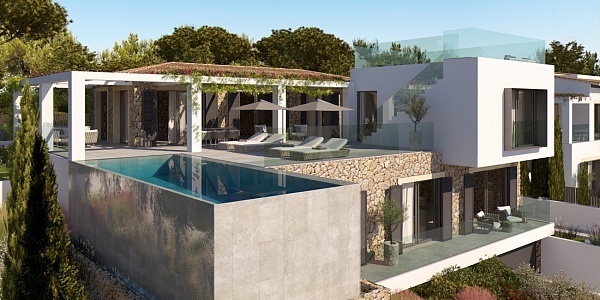 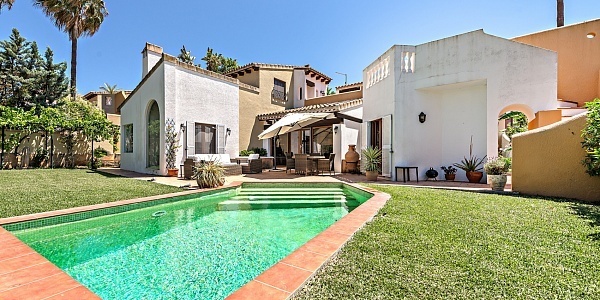 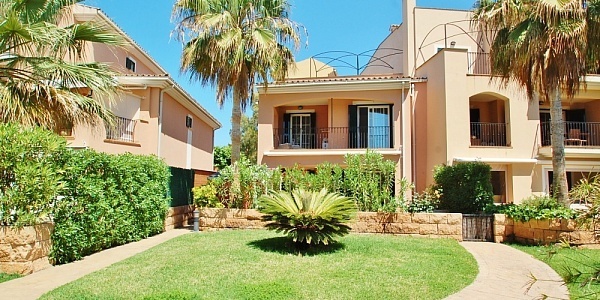 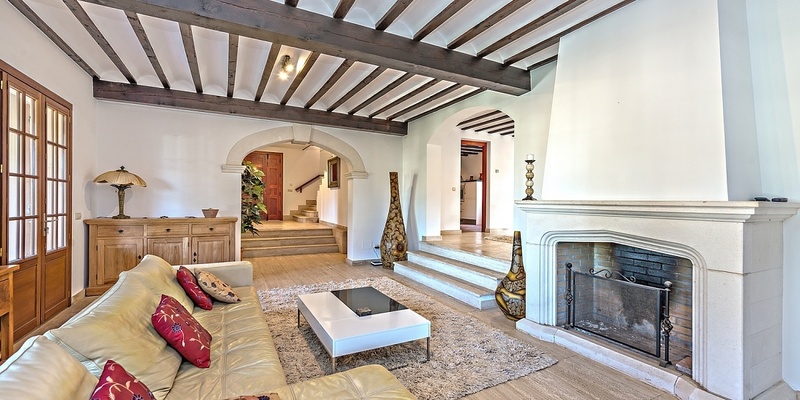 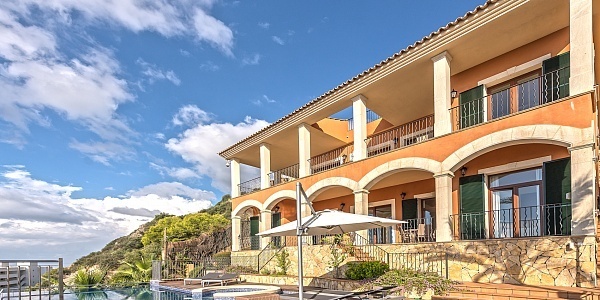 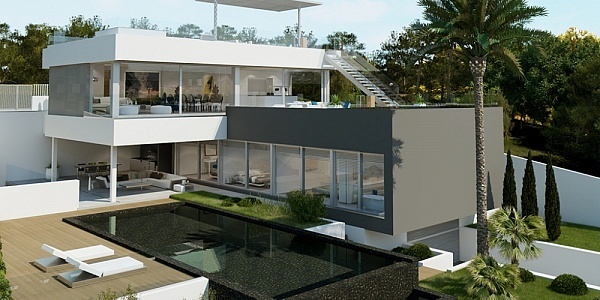 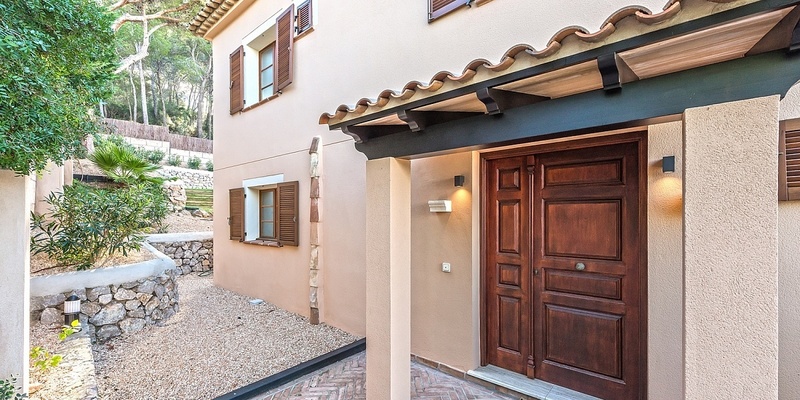 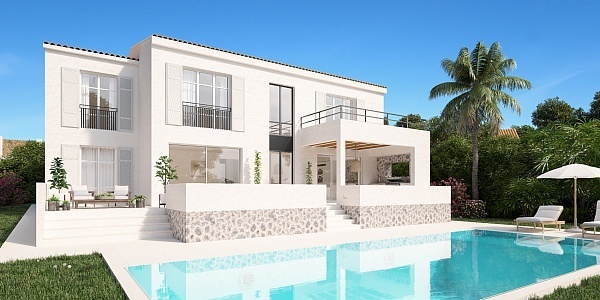 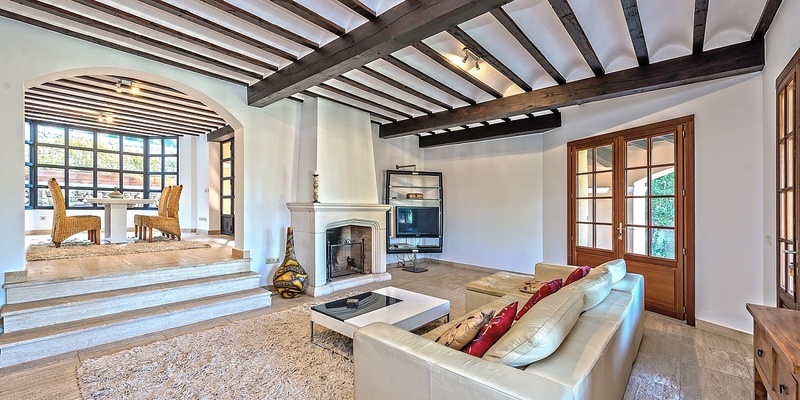 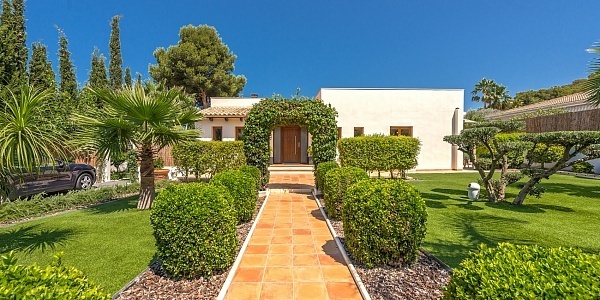 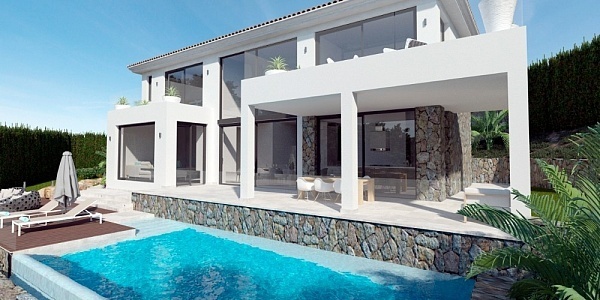 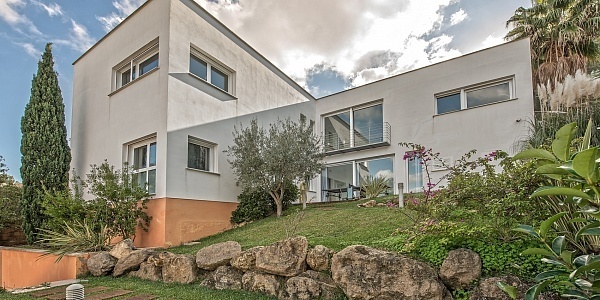 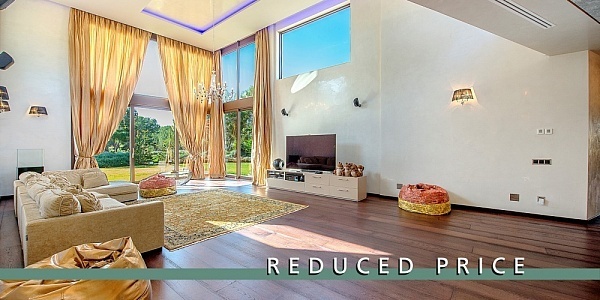 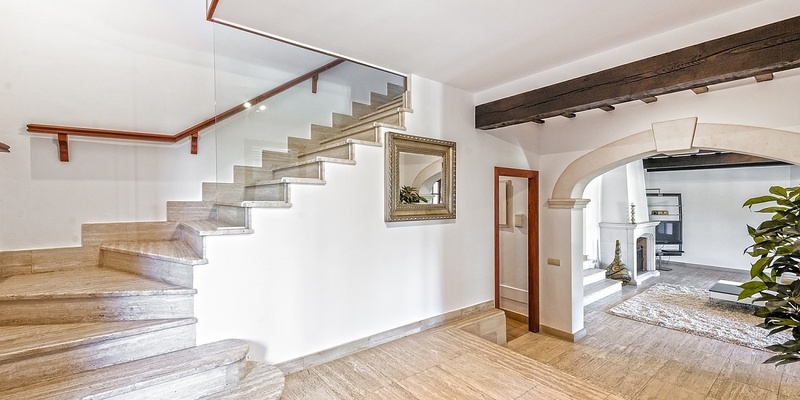 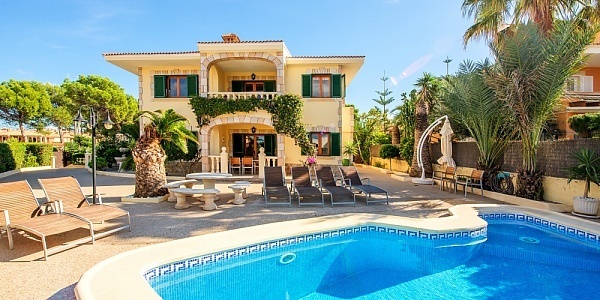 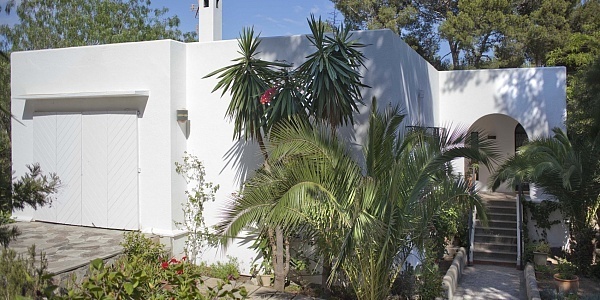 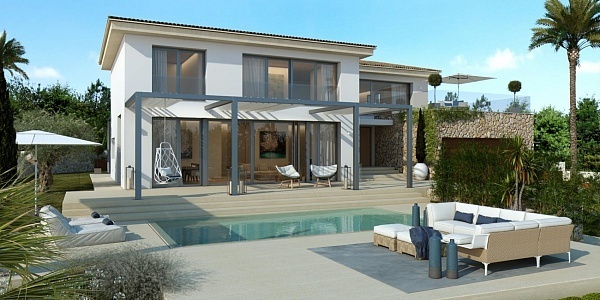 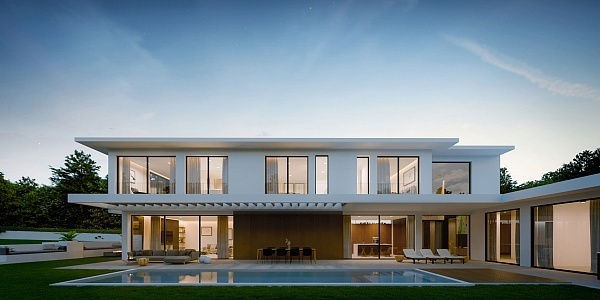 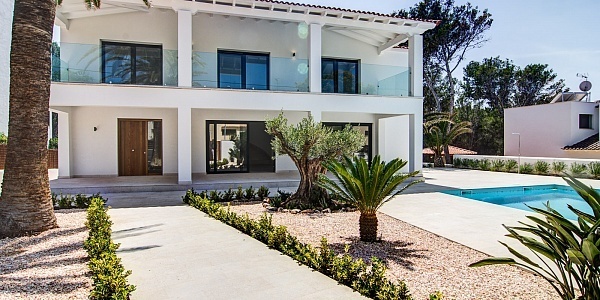 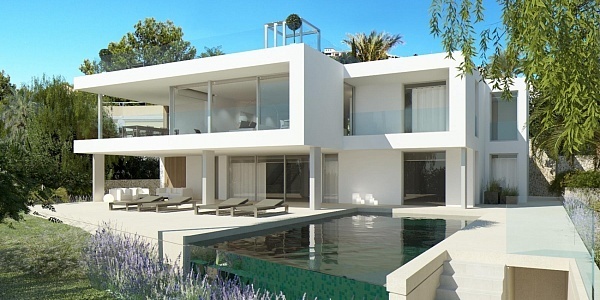 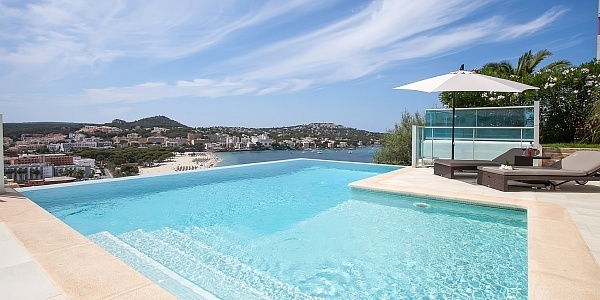 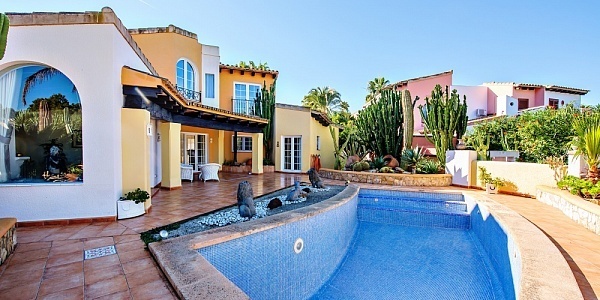 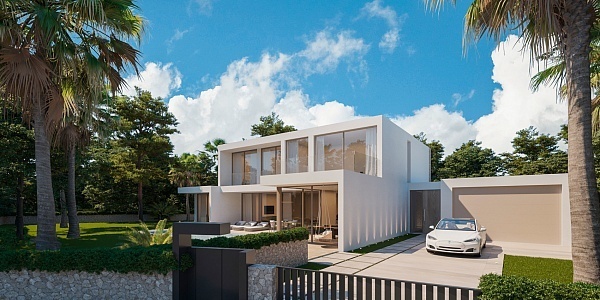 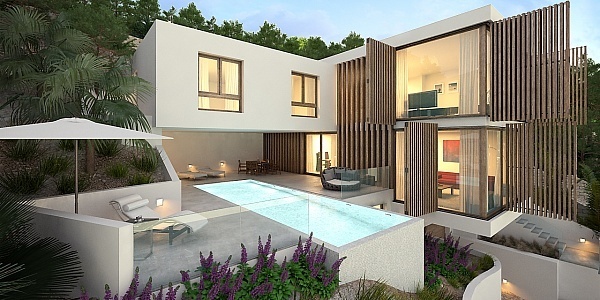 A charming well kept villa in mediterranean / modern style. 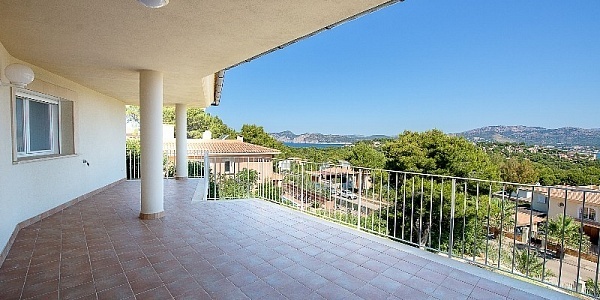 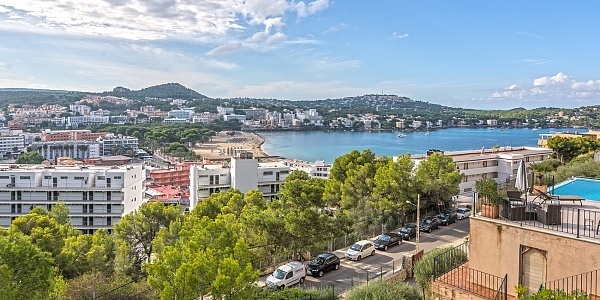 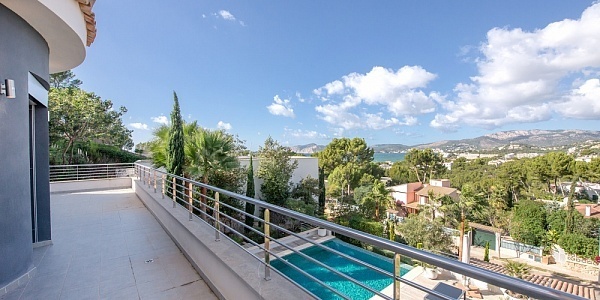 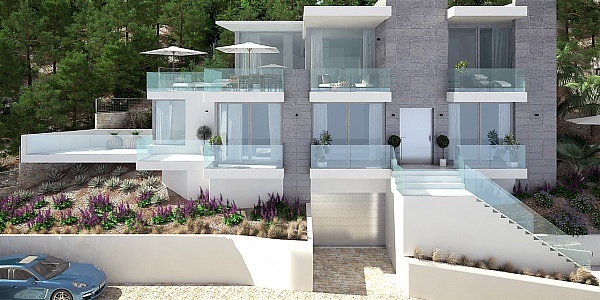 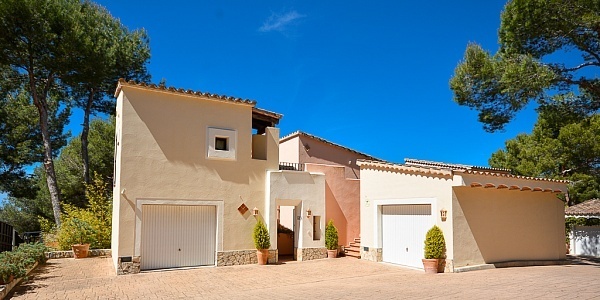 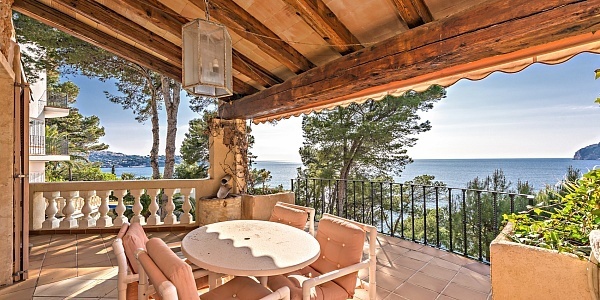 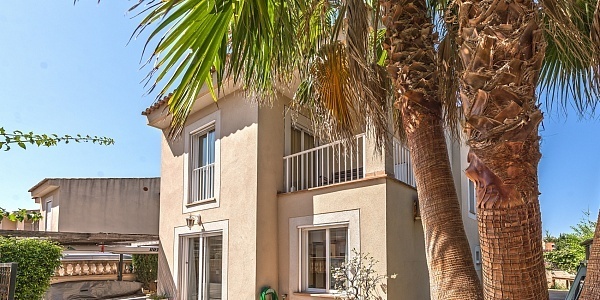 The property is located in a quiet sought after residential area close to the golf courses and the famous Port Adriano and beaches in the area Its elevated position makes it enjoy privacy and beautiful open views to the Santa Ponsa surroundings with the mountains and even the sea . 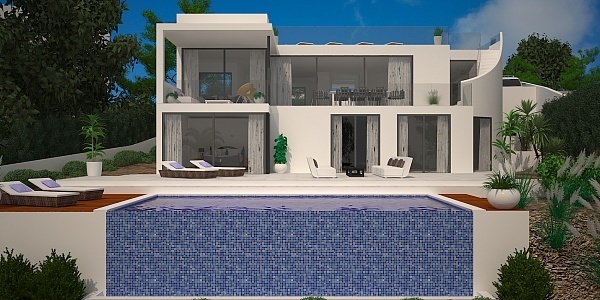 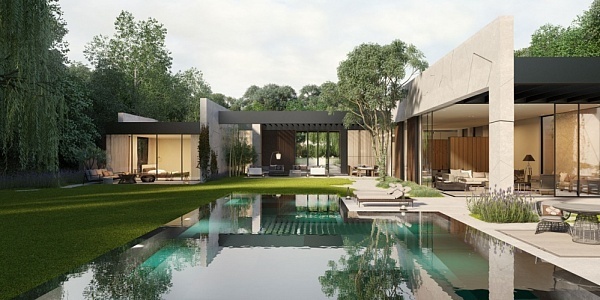 The ground floor contains an open dining / living area with access to the exterior porches an terraces as well as to the spacious modern fitted kitchen. 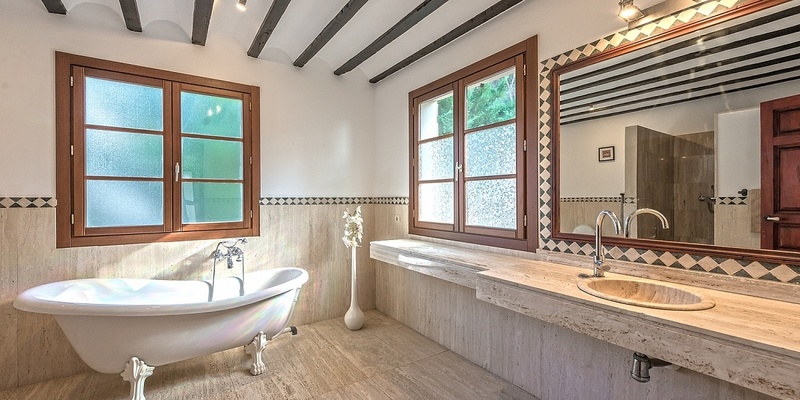 At this level there is also a guest bedroom with bath en suit as well as a guest toilette. 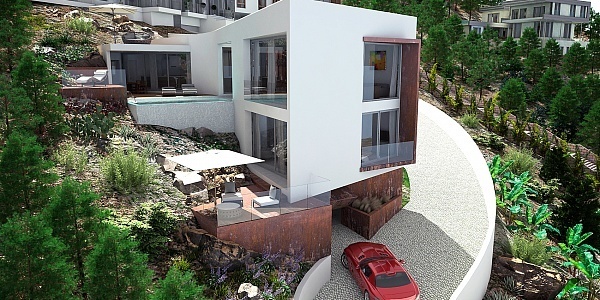 Stairs are leading down to the double garage, a store room and a possible bodega. 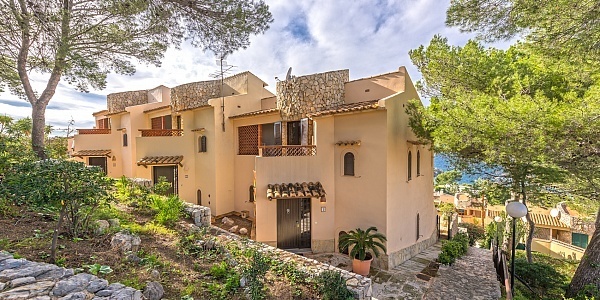 The upper floor contains a beautiful large master bedroom en suit with dressing room and a beautiful terrace with sea views in front . 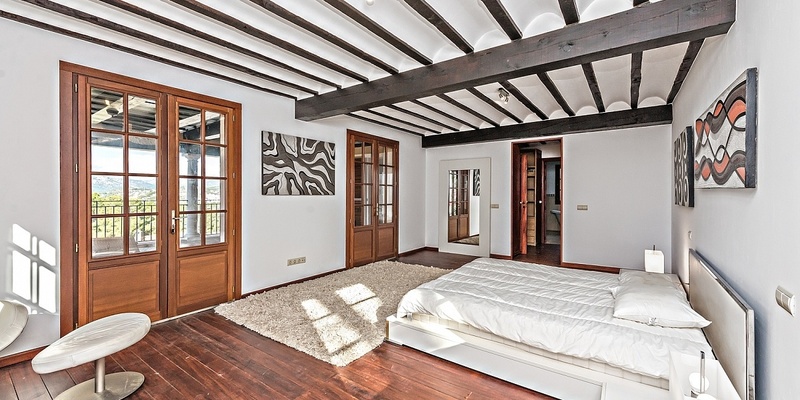 The third bedroom en suit in the house is also at this level. 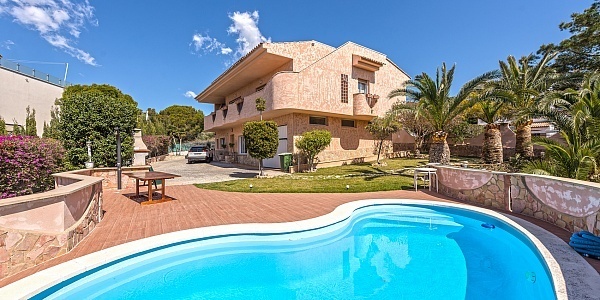 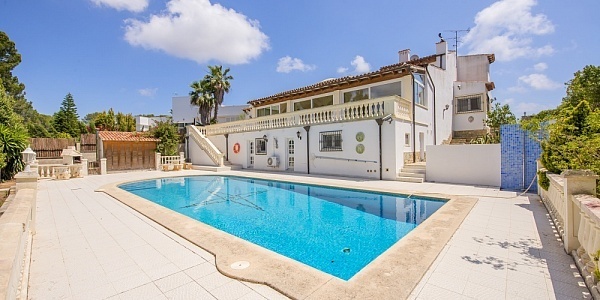 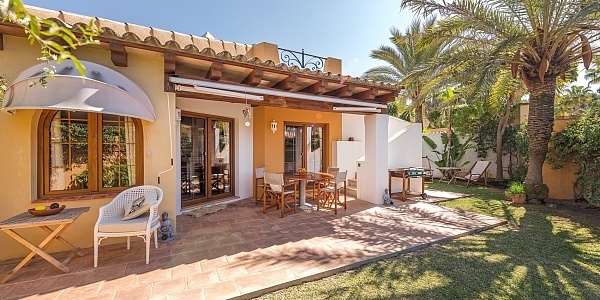 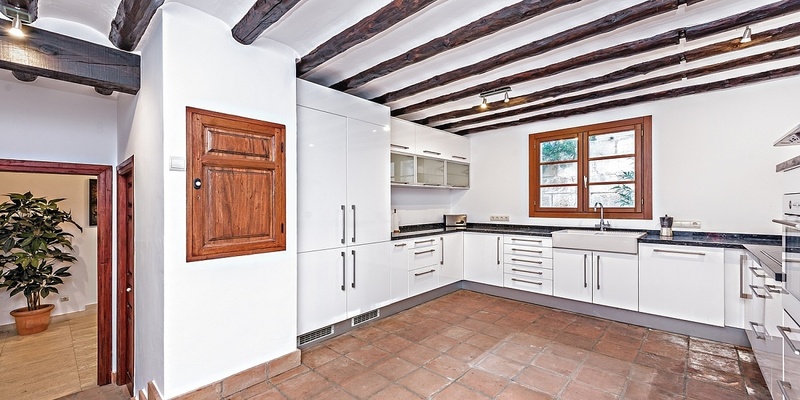 The property offers a well kept garden and swimming pool with sun terraces.Extras : double glazed windows , tiled and wooden floors, underfloor gas oil heating and A/C.